What Hi-Fi? Magazine is the world’s number one hi-fi and audio-visual entertainment title. 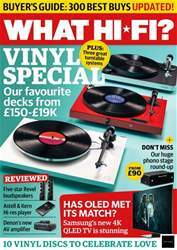 Featuring all the latest reviews and articles on hi-fi, home cinema, television and home entertainment, What Hi-Fi? is “the world’s leading independent guide to buying and owning hi-fi and home cinema”. Each month, What Hi-Fi? subscribers can look forward to comprehensive tests of all the best equipment in the market, along with detailed advice and tips on how to get the most of out of your home entertainment setup. Join the thousands of hi-fi aficionados around the world with a monthly What Hi-Fi? digital magazine subscription - the number one hi-fi and audio-visual entertainment magazine. Subscribe today! Originally published in 1976, What Hi-Fi? Magazine has been at the forefront of consumer electronics for over 40 years now, acting as a trusted buyers guide for anyone looking to get the very best hi-fi, home cinema, television and home entertainment equipment on the market today. Self-titled as the home of “the most trusted tech reviews in the world", What Hi-Fi? 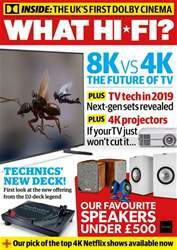 Magazine provides subscribers with impartial, expert guides on buying and owning the latest and best hi-fi, TV and home cinema technology. Alongside each month’s selection of in-depth testing, reviews and recommendations, What Hi-Fi? Magazine also features informative advice sections with independent, expert advice and opinion on how to get the best from all your existing equipment too. 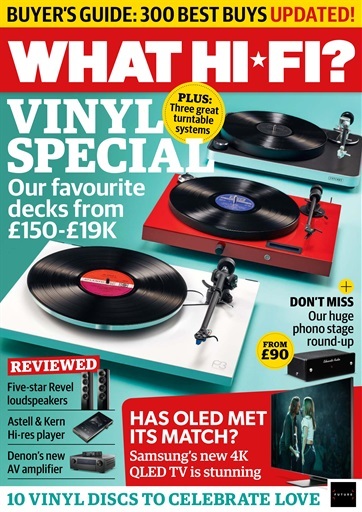 Popular monthly features include ‘First Tests’ - exclusive hands-on reviews of the newest tech and ‘Temptations’, the top of the range kit on the What Hi-Fi? team’s radar. 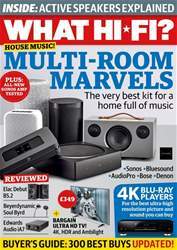 Keep yourself up-to-date with the latest reviews and articles on everything hi-fi, home cinema, television and home entertainment with a monthly digital version of What Hi-Fi? - download the latest magazine to your device and enjoy immediately today!